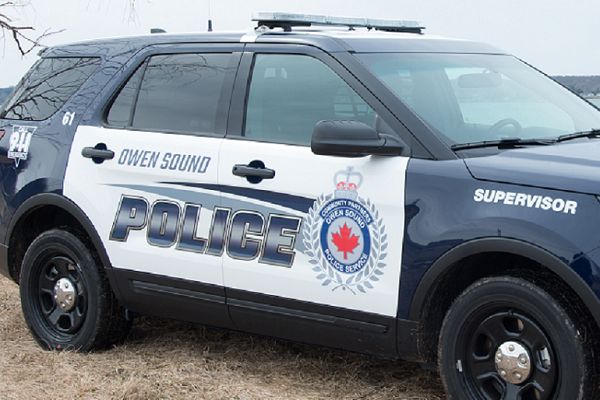 Owen Sound Police investigators conducting observations for drug activity downtown spotted a wanted man and made an arrest on outstanding warrants. The officers spotted the 39-year-old Hanover resident exiting a rental vehicle in a parking lot yesterday afternoon and searched him. He was in possession of highly toxic blue coloured Fentanyl. He was charged with possession, and breach of probation. Police also searched the driver of the rental vehicle and located several prohibited knives. The 35-year-old Southampton man was under conditions based on previous criminal charges that prohibit him from the possession of weapons, so he was also arrested and charged. Both males have been detained in police custody pending bail hearings.